Extremely limited quantities and unlike anything you've tried before! 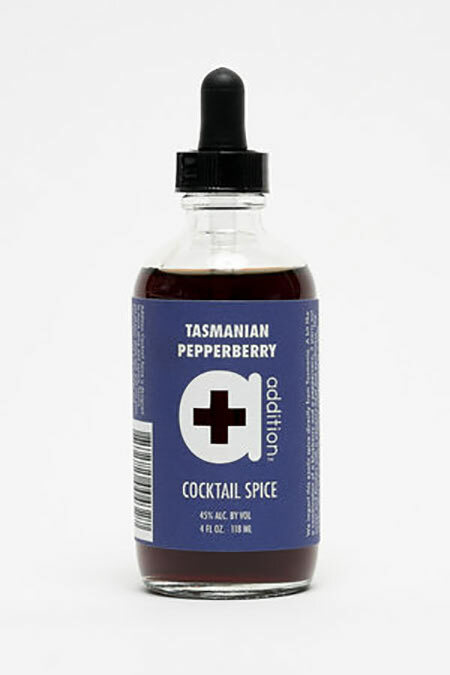 This exotic spice is directly imported from Tasmania and we can only get it for a few weeks each year. A bit like a combination of a blueberry and a peppercorn, it starts out sweet and finishes with a peppery heat and earthiness. The combination is a versatile, unique compliment to a wide variety of cocktails! Extremely limited quantities and unlike anything you’ve tried before! This exotic spice is directly imported from Tasmania and we can only get it for a few weeks each year. A bit like a combination of a blueberry and a peppercorn, it starts out sweet and finishes with a peppery heat and earthiness. The combination is a versatile, unique compliment to a wide variety of cocktails!